Jocks&Jills offers party rooms to fit your party needs! Whether you are looking for a smaller, more intimate room for 10 – 20, or a larger room for up to 120 – we can accommodate! 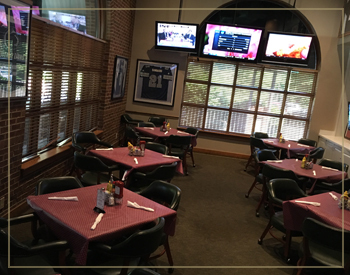 We can provide the right atmosphere for your gathering: from large TV’s for watching the game, or even seating on the patio for a different feel! Contact us today to book your party!